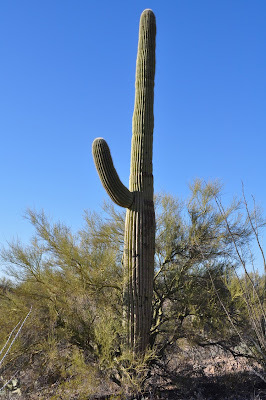 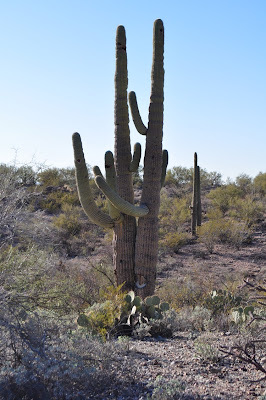 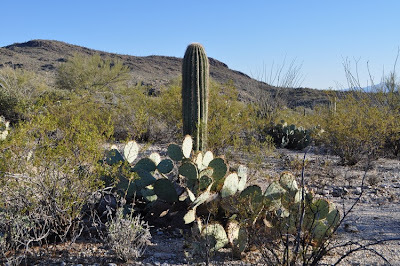 I was still in Tucson, Arizona for a trade show, and though it was the end of the day I wanted to take a quick hike before sunset. 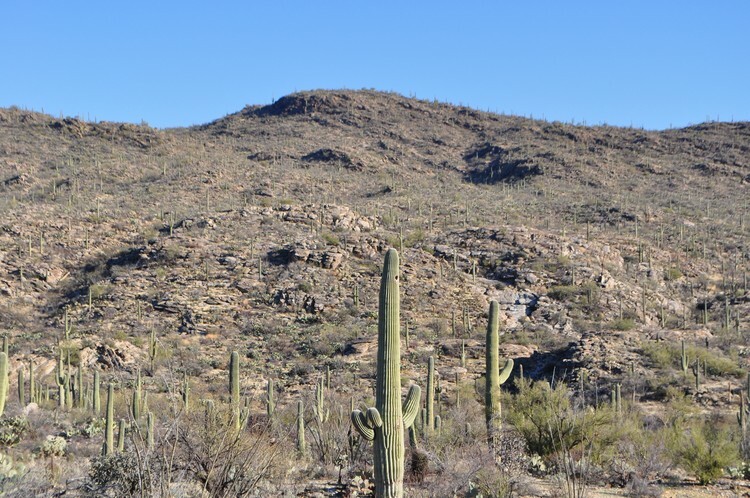 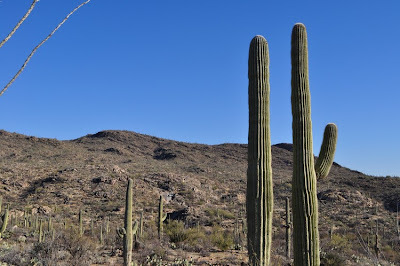 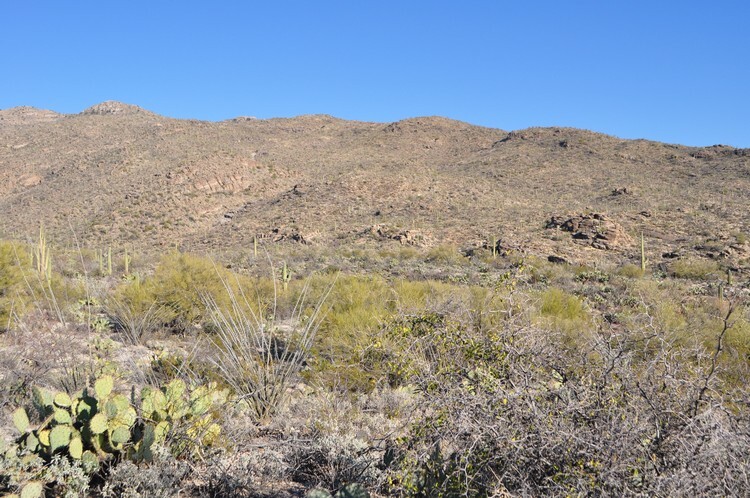 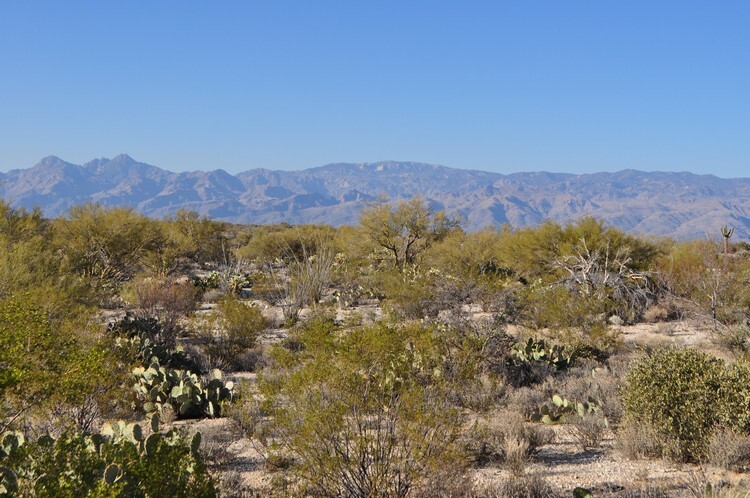 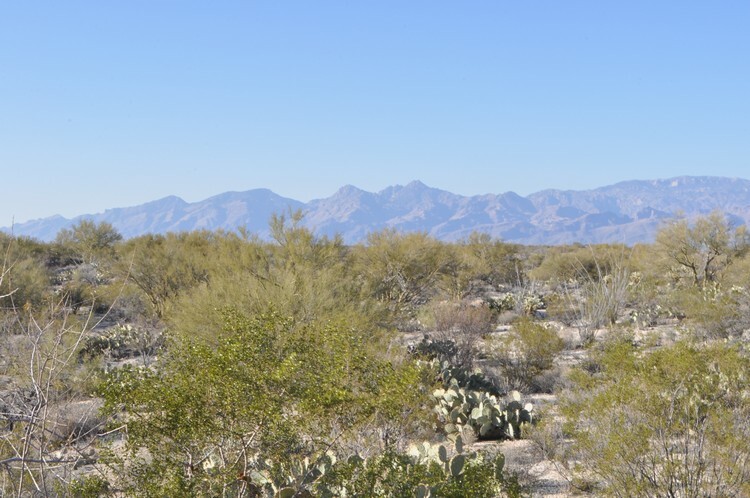 There is a small mountain called Sentinel Peak right outside of downtown Tucson, with sweeping views of the entire city of Tucson. There is a also a road up the mountain, but I found a parking area on the bottom of the mountain with a trail that climbs up. 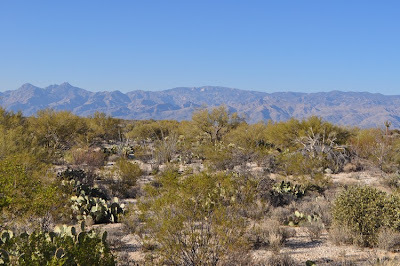 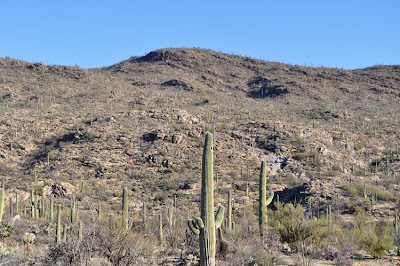 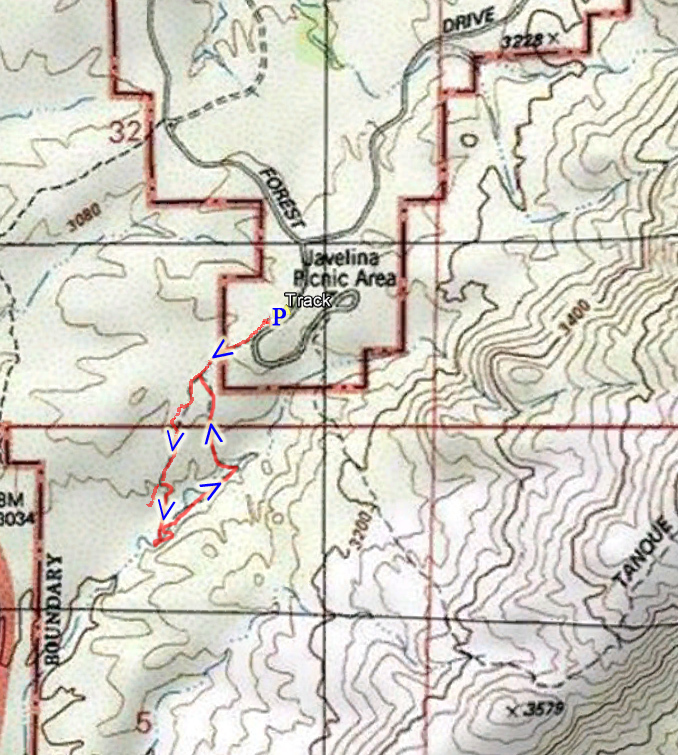 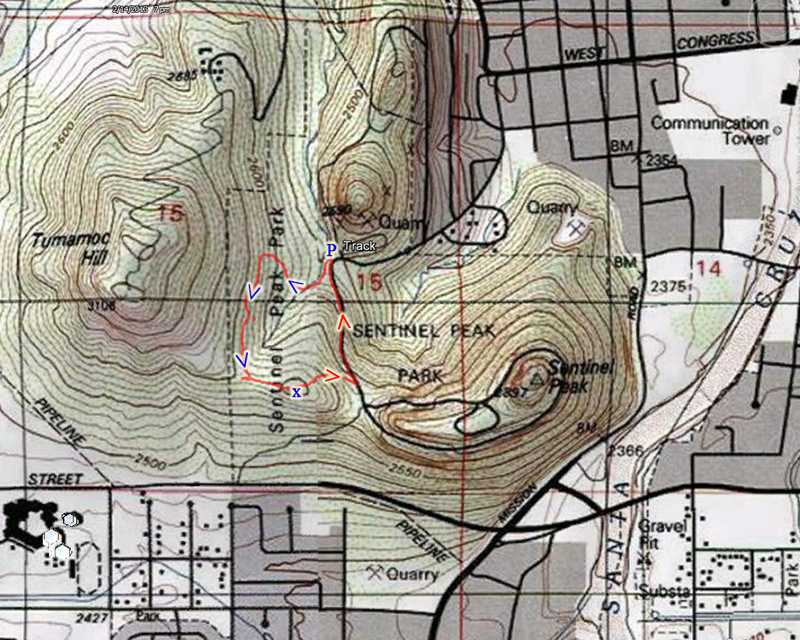 I climbed up the trail towards Tumamoc Hill, and then turned back down to Sentinel Peak towards the road. 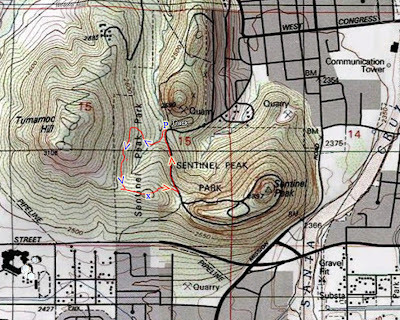 As it was getting dark and late, I opted to head back down the road instead of up the view at Sentinel Peak. 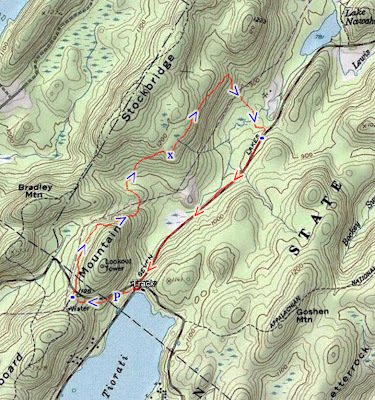 I only had my phone camera with me, and unfortunately my SD card on the phone got corrupted and I lost all the pictures from this hike. The previous day there was a large snowstorm, and it snowed almost a foot and a half. We had wanted to hike across a frozen lake, but the rangers had not posted any of them as accessible yet, despite them being fully covered with snow. 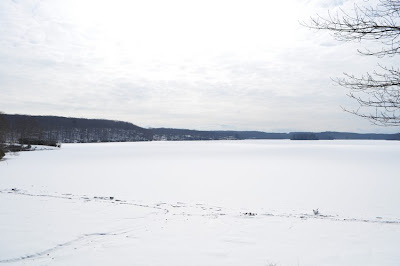 Many parking areas are inacessible after a large snowstorm, and only the larger parking areas get plowed. 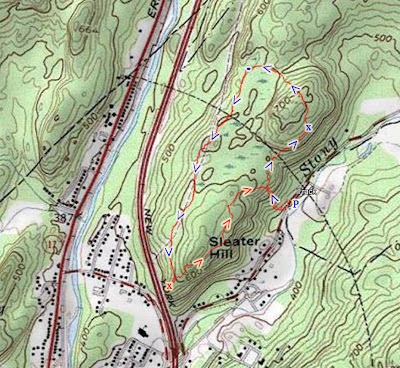 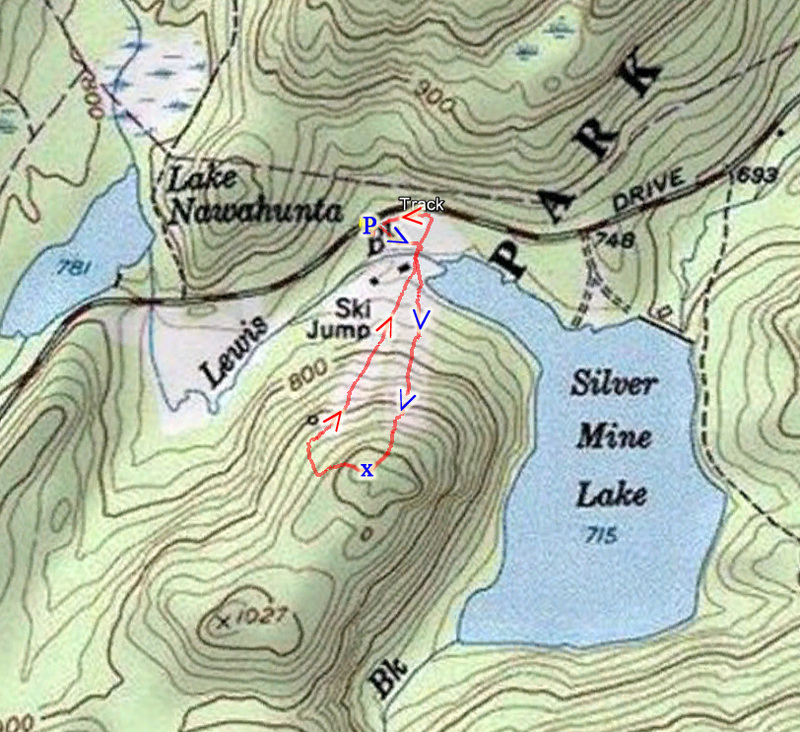 Since we were short on time, and with limited trailhead parking availability, we went to the Silvermine Lake ski area and hiked up the left ski trail to the top, looped around, and took the right slope back down. The area was very busy with scores of people sledding down the slopes. 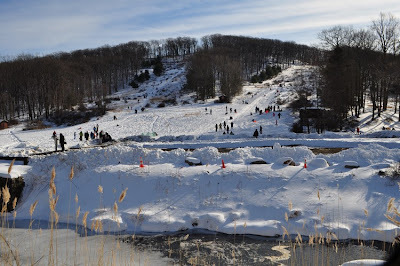 I do recall there having been a no sledding sign previously, but its no longer there and the crowds are large. I don't know why they would have blocked sledding, considering its a safe and fun place to do it with such a large hill. 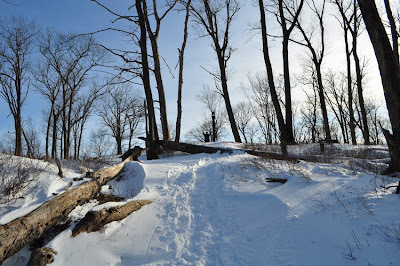 Anyways, I am glad its opened to sledding again. 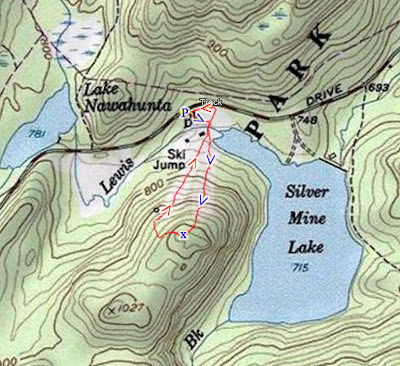 On a side note, I do with there was a way to know in advance if any of the lakes are fully frozen and posted as accessible to walk on. 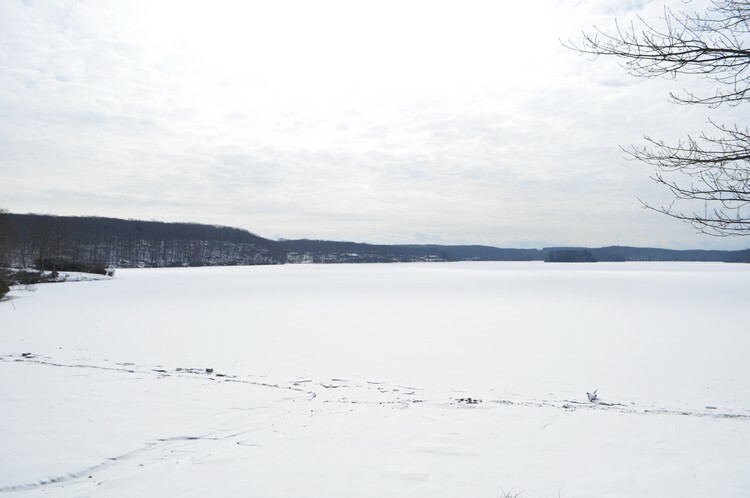 The ice has to be 6 inches thick for this, and the park rangers are supposed to post the sign in front of the lake. 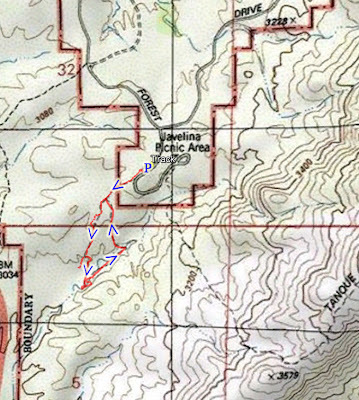 If anyone knows of any website that posts this information, please feel free to post it in the comments. 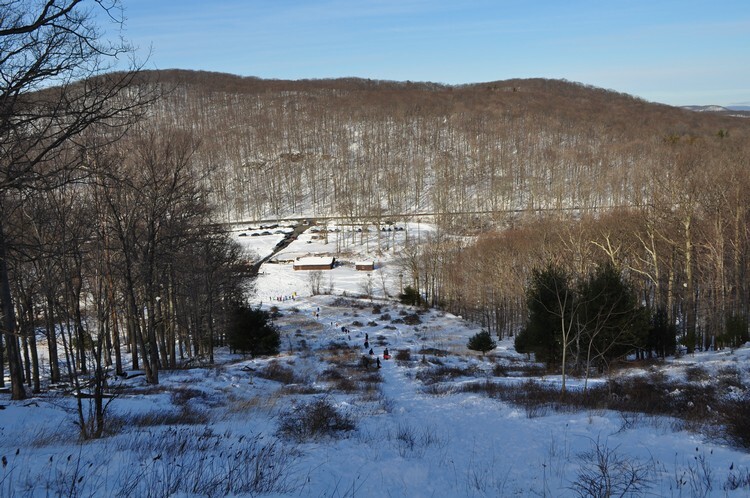 View Near the Top, Facing North. 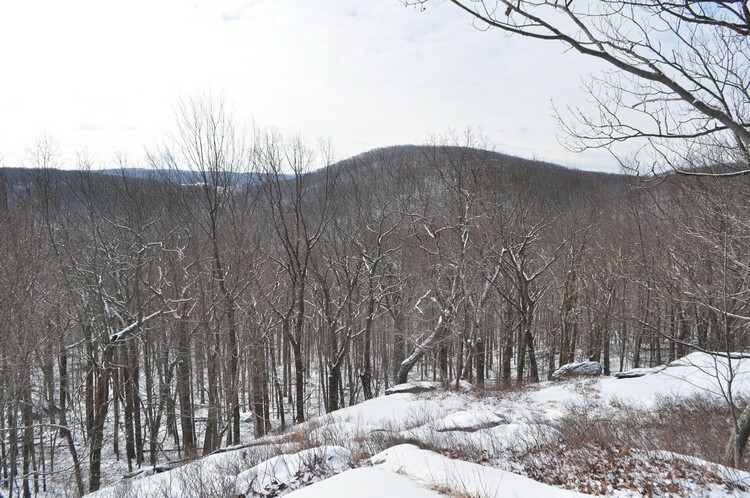 Panoramic Shot at the Top. 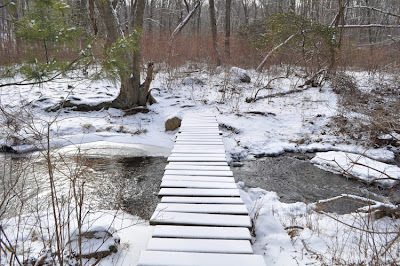 Much of the snow had melted during a brief warm-up during the week, but on Saturday night it had snowed an inch, which covered everything again. 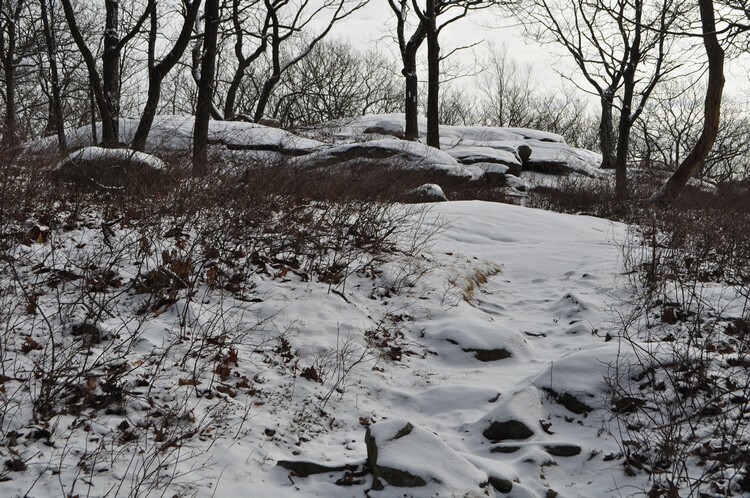 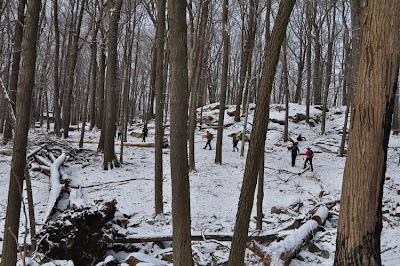 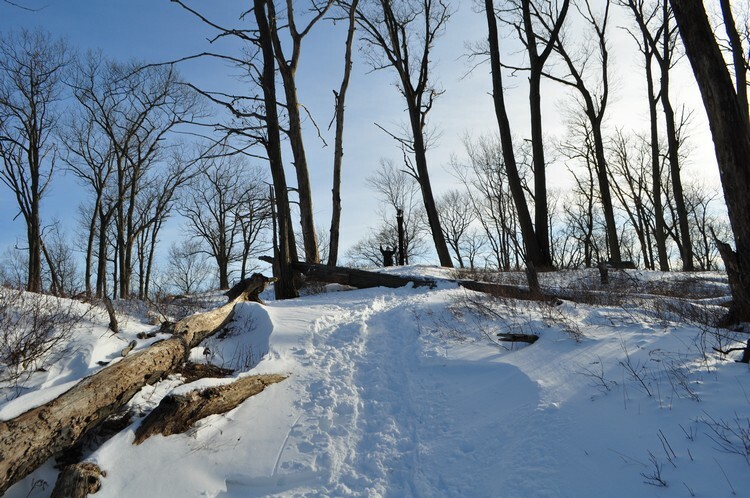 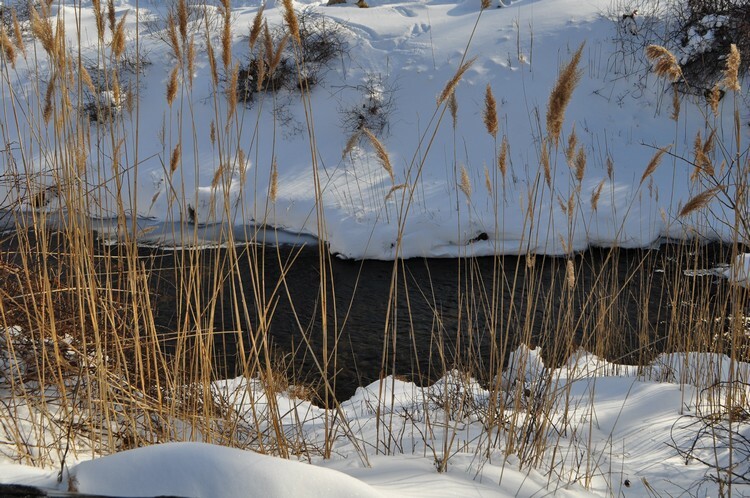 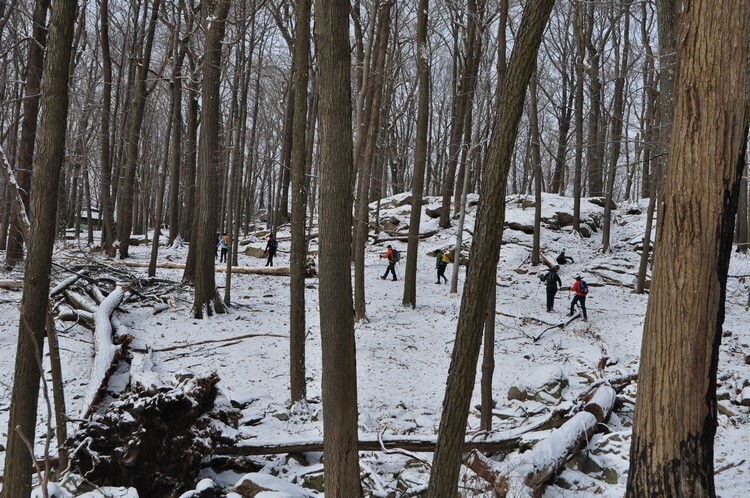 However, this small snow cover had covered many icy patches along the trail, making the hiking conditions very difficult. 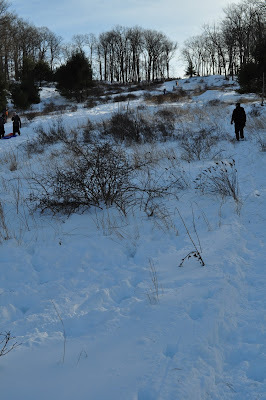 In fact, I had fallen at one point at badly bruised my arm. I parked in the parking area at Tiorati Beach, and took the short Tiorati Brook Trail up the hill. 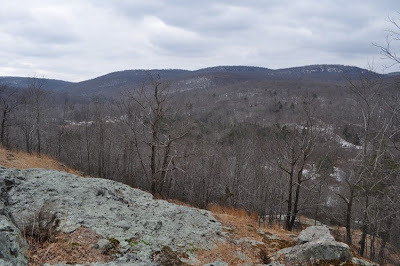 I then took the Appalachian Trail north, going right near a large group of hikers, partially up Fingerboard Mountain, and then on the side of Stockbridge Mountain. There is a view here towards the south, but its not that great and pretty overgrown. I then took the trail gradually down Stockbridge Mountain back to the road. 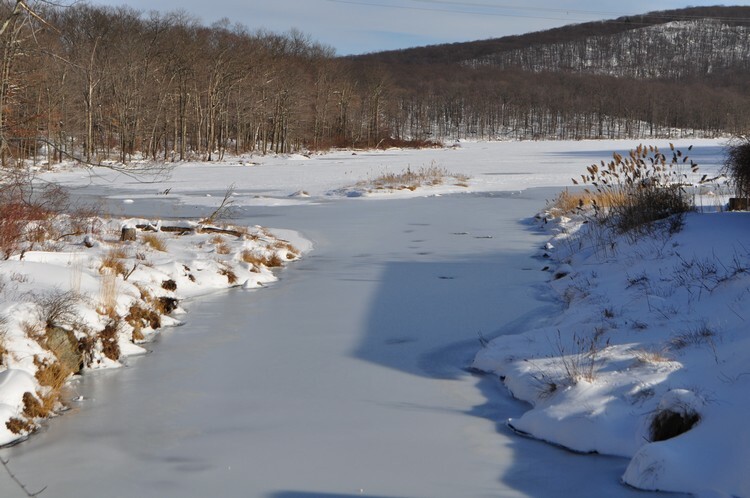 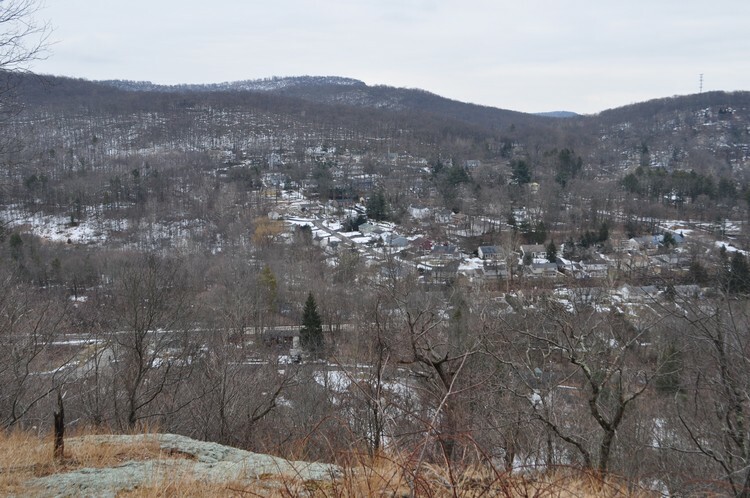 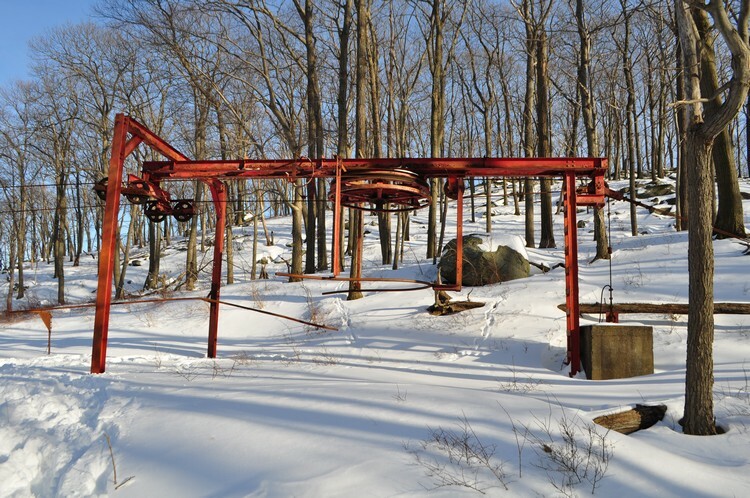 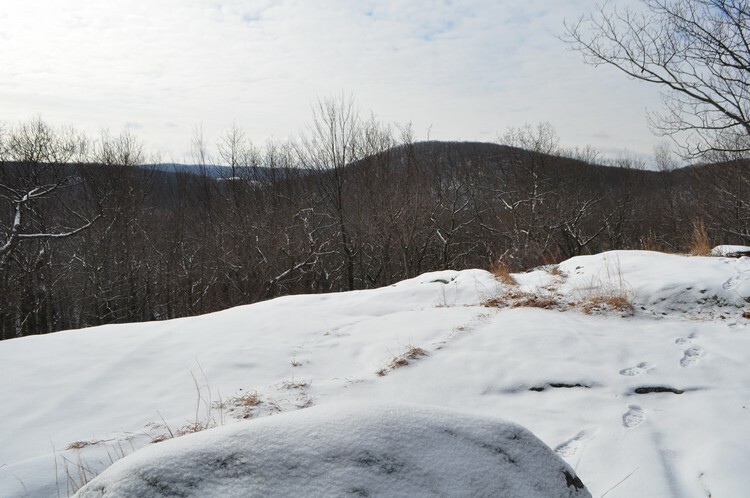 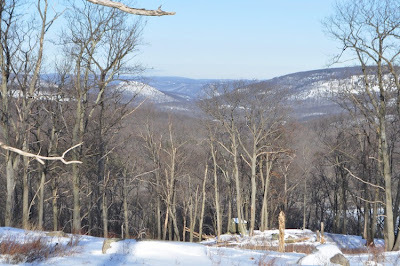 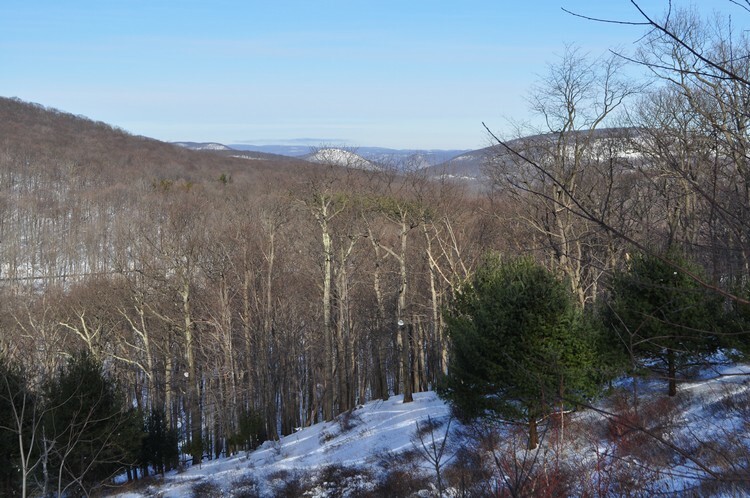 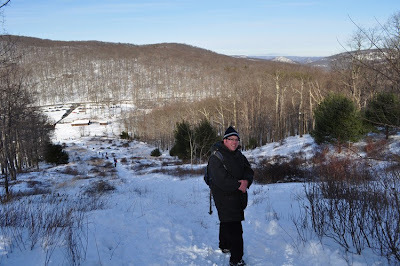 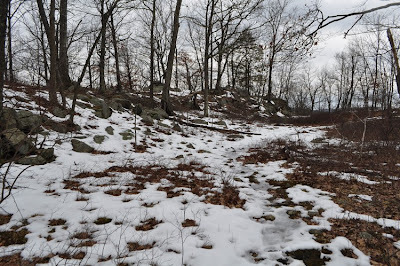 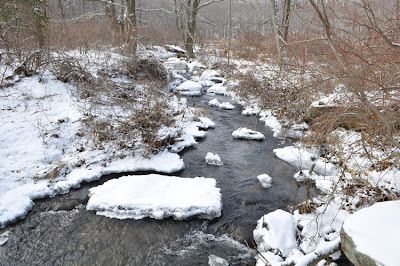 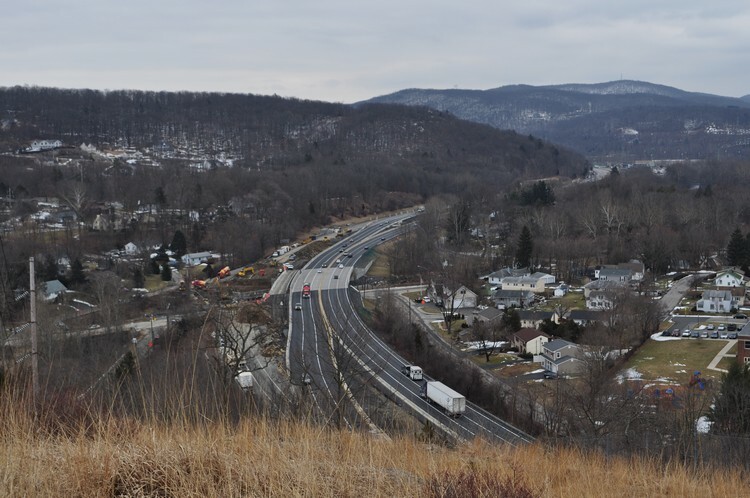 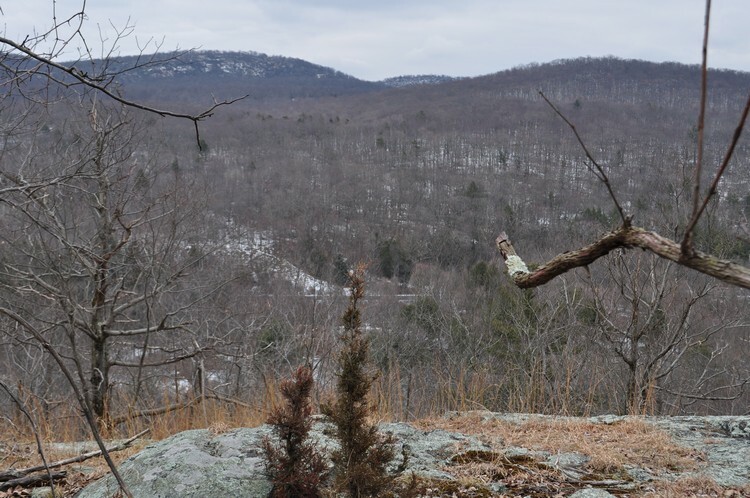 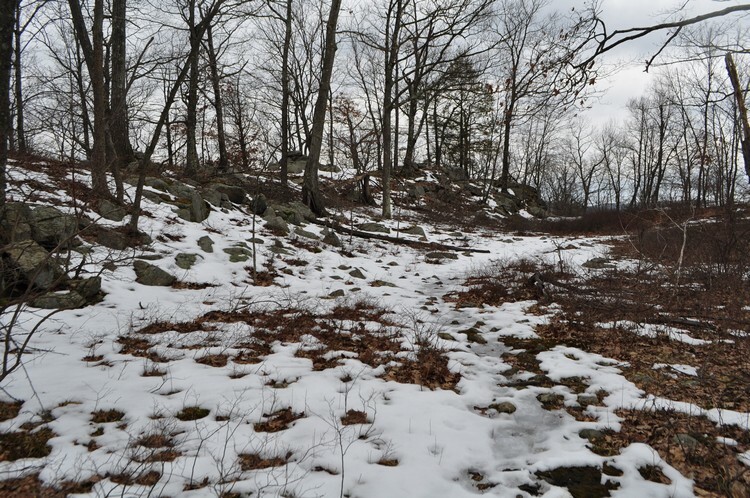 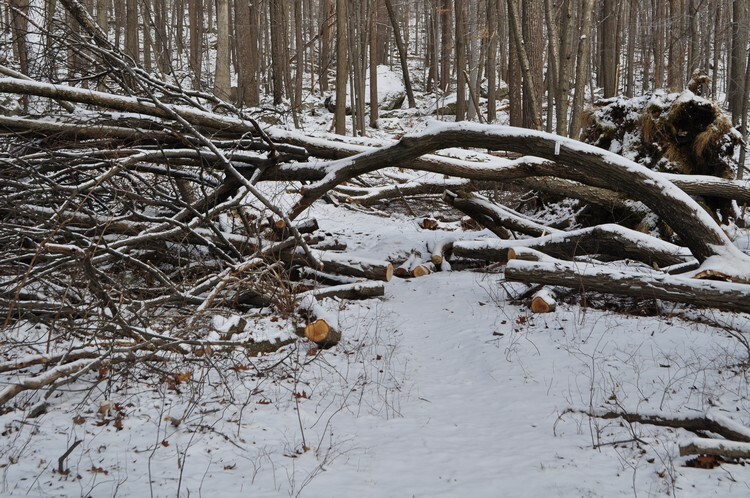 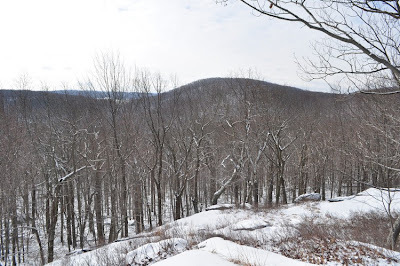 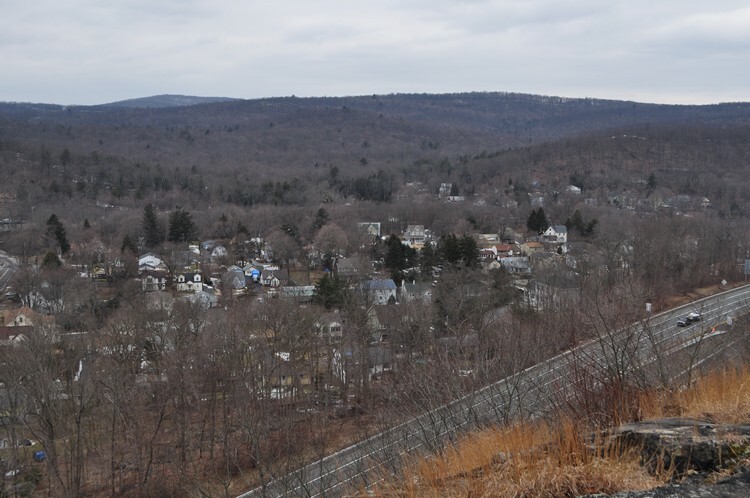 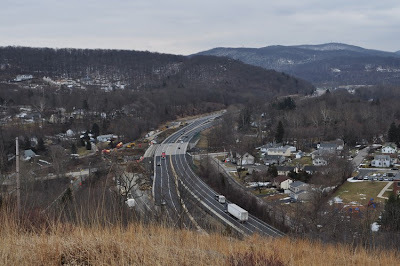 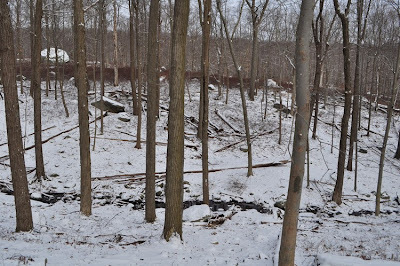 I was planning on continuing along the Appalachian Trail and cutting toward the Ramapo Dunderberg Trail, but due to the very difficult conditions I opted to head back along the road back to my car. Appalachian Trail Going Right Through Them. 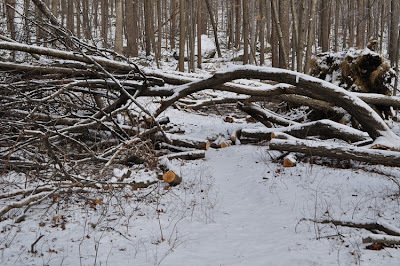 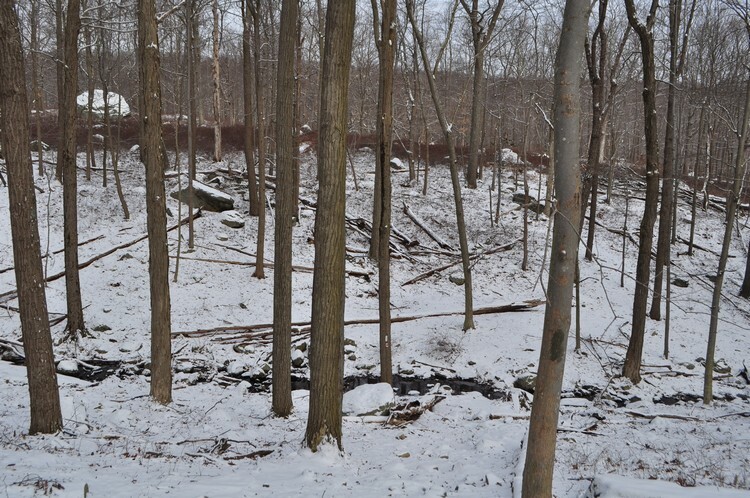 This Grove was Downed by Hurricane Sandy.